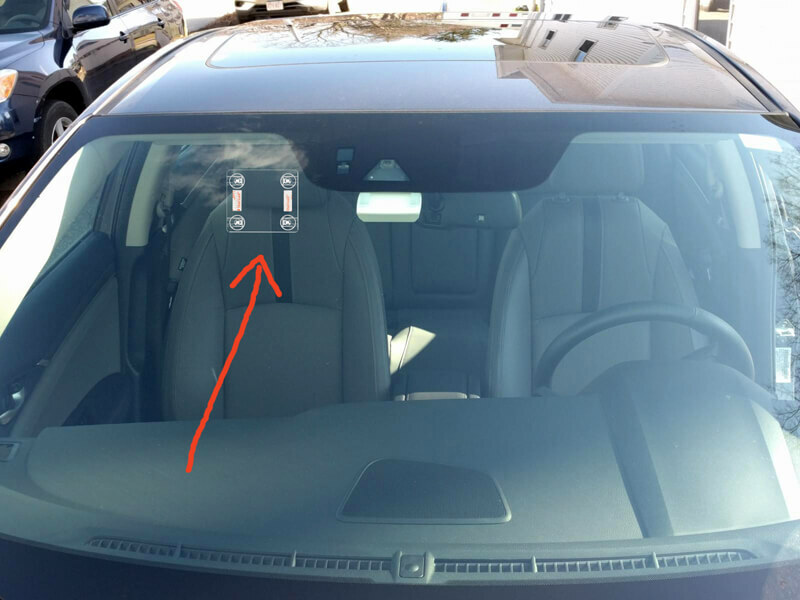 Where can I buy an e-zpass holder for my new E-ZPass with suction cups (so it’s transferable between my car and rental cars to hold it up to the window)?? I’ve seen these online but the shipping costs are more than the cost of the holder itself, so if they’re available in any brick and mortar store, I’d like to pick one up next time I’m in New York. I’ve been dinged for missed tolls on the NJ Turnpike high-speed lanes before because my E-ZPass was not mounted correctly and thus not read…and the toll tags offered by car rental companies all have a surcharge, which I’d rather not pay since I have a no-fee Delaware E-ZPass to my name. I’ve been looking for one of these for a while, too, although I haven’t looked too hard. My guess is that in the city, bodegas that cater to cab drivers will probably have them. Also, for anyone looking to order an EZ Pass, you don’t have to get it from Delaware to pay no fees. If you click through the MTA website and link a credit card to the account, there are no fees (you are charged $25 to top up the account when you sign up, but you can use it all to pay tolls and there are no other deposits or fees). If you order directly from one of the EZ Pass websites, however, and put in NY or NJ as your home state, there is a $1/mo “PANYNJ account service fee.” So make sure you click through the fee-free link. Compare section 16 of that page to section 16 of this page and you’ll see that the first one doesn’t have the $1/mo fee. I can confirm this works (I’ve had my MTA-issued EZ Pass for over a year and have not been charged for anything but the tolls I’ve gone through). If you have a NY EZPass, you can actually order extra velcro strips for free through the website (I’m not sure if other states’ EZPass websites offer this or not, but probably). Just go to Vehicle/Tag Maintenance::Tag Strips/Read Prevention Bags and they’ll mail them to you a few days later. But I still want a suction cup holder because I often use my EZPass in rental cars where I probably shouldn’t go sticking permanent velcro adhesive strips. While I believe c_stanley may technically be correct, I too have used mine in rental cars without a problem. I also used to carry mine in my briefcase for use back when many taxi and limo drivers did not have them. In Massachusetts, I have had a problem using my FastLane pass (the Massachusetts equivalent of an EZPass) in an unregistered car. In Massachusetts, most tolls do not have gates, so if your FastLane is not read properly, you are not prevented from just driving straight through without stopping. A photo of your license plate is captured, however, and compared to the state’s records so the proper transponder can be charged. If they do not have a transponder on record, you are mailed a violation, which you can appeal if you can prove that you do have a working transponder. What I have learned from experience is that if I provide a Massachusetts FastLane transponder number that is not linked to the plate of the car the violation was issued for, the appeal will be denied and I’ll still have to pay the fine ($50). If, instead, I report that I was using my NY EZPass transponder, the appeal will be upheld and they’ll simply charge the appropriate toll to my EZPass. The NY EZPass website allows you to register multiple cars for a single EZPass account (not sure about other states’ EZPass websites). When I first got my EZPass, I would always add rental cars as soon as I picked them up. Then there were a couple times when the website said the rental car in question was already associated with someone else’s EZPass account and wouldn’t let me add them. I used my EZPass anyway, and haven’t had a problem. In theory I think they can fine you for improper use, but I have yet to run into any problem. They seem to have no problem billing my account for the tolls I go through no matter what car I’m in. Remember each issuing authority has different regulations. My EZ pass is a NJ one, they allow transfers to any other vehicle of the same type. Delaware allows transfers, but in their regulations say they need to be notified of the temporary or rental vehicle you are using it in. I believe the main purpose of them wanting to know is for times the EZ pass is not read correctly, they will then go to the license plate to charge the toll and any fines. I’m seeing that as an advantage is somebody previously registered a rental car plate to their tag (and a good reminder if you do register it to make sure to remove it once you no longer need it from the list), as the toll will be deducted from their tag and not yours (whoopsie) and the rental company would probably never be notified.